Welcome to the Pocatello Children’s Clinic. We believe that nothing is more rewarding than caring for children. As a parent, you know how exciting and sometimes challenging it can be. We are here to help. Every person in our office is dedicated to working with children. It’s our specialty; we wouldn’t have it any other way. We provide comprehensive care for all children and adolescents. 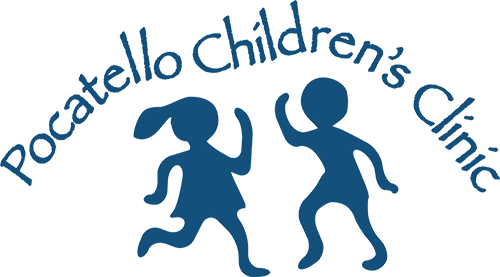 At the Pocatello Children’s Clinic, a pediatrician is always available to answer your questions or see your child—24 hours a day, 7 days a week. Children have different health care needs than adults. As they grow through each stage of childhood, the medical issues they face change. Pediatricians understand this better than any other type of doctor. They are specialists in all aspects of children’s health and are the only physicians who spend an additional three years of training after medical school focused just on kids. We provide family-centric care. While our parents find that they like and trust all of our pediatricians, they often identify one as their family doctor. Visit us before delivery so you can get to know your new baby’s doctor. Once your baby is born, one of our pediatricians will meet with you each day at the hospital.